Burke Rehabilitation Hospital is pursuing HIMSS EMR Adoption Model℠ (EMRAM) Stage 7 certification and needed a way to digitize and manage paper forms, therapy sheets, and insurance and identification cards, referrals, prescriptions, physician orders, discharge records of declaration and social work requests. Ambir® ImageScan® 930u high speed document scanners to digitize patient information, OnBase® by Hyland software for information management and Meditech™ EHR software for electronic health records. All paper based patient information is scanned at its source at: admissions, registration stations, nursing stations, therapy rooms, pharmacies and research departments. Ambir® ImageScan® 930u scanners are critical components of Burke Rehabilitation Hospitals Stage 7 certification efforts. 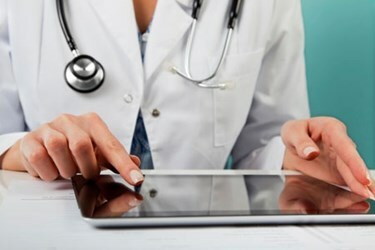 Digitizing patient information residing on hardcopy to integrate it into electronic medical records (EMR) is helping to pave the path to more efficient delivery of healthcare in the United States. Physician practices, health management organizations, neighborhood clinics, urgent care facilities and hospitals are moving along the spectrum to meet electronic medical records adoption goals set forth by both by government regulation and healthcare industry expectations. For example, the non-profit healthcare information technology industry group Healthcare Information and Management Systems Society (HIMSS) has a measurement system to determine where a facility is on the adoption curve. Named HIMSS Analytics, the organization has tracked adoption of EMR technologies within hospitals since 2005 and within clinics since 2012 using the EMR Adoption Model℠ (EMRAM). Institutions work to complete the eight stages (Numbered 0 through 7), with the goal of reaching Stage 7: an environment where paper charts are no longer used. Pursuing the coveted Stage Seven rating is Burke Rehabilitation Hospital. Located in White Plains, New York, it is a 150-bed post acute care hospital specializing in rehabilitation medicine. The hospital is accredited by the Joint Commission measuring institutional safety and quality and Commission on Accreditation of Rehabilitation Facilities measuring completeness of patient recovery. Burke is an affiliate of the Montefiore Health System, Inc. and has satellite outpatient clinics in the lower Hudson Valley and New York City. Offering both inpatient and outpatient care for neurological, musculoskeletal, cardiac, and pulmonary disabilities caused by disease or injury, Burke attracts patients from across the country and around the world. Burke uses the Meditech™ Client/Server 5.6 Long Term Care platform for its electronic health records system, OnBase® by Hyland software for information management and Ambir® ImageScan® 930u high speed document scanners to digitize patient information. Document imaging meets patients the moment they walk through the door. In the patient admitting and registration process, Burke uses scanners to capture relevant information residing on forms, approval signatures, and insurance and identification cards. Scanners are placed at nursing stations to capture referrals, prescription and medicine information, physician orders, discharge records of declaration and social work requests. In addition, Burke has scanners in its Health Information Management and research departments. Once digitized, the information goes into OnBase information management for access through Burke’s EHR system. Ambir Technology, Inc. is an industry leader in digital capture and document management solutions. Combining professional-grade ID card and document scanners, unique digital imaging software and expert-level customer service, Ambir provides their customers with comprehensive, enterprise-level business solutions. Specializing in the healthcare, legal and financial sectors, Ambir helps organizations reduce costs, increase productivity and strengthen data security. For more information, visit www.ambir.com or call 603-530-5400. EMR Adoption Model℠ (EMRAM) is a Service Mark of Healthcare Information and Management Systems Society; Ambir and ImageScan are registered trademarks of Ambir Technology, Inc.; Meditech is a trademark of Medical Information Technology, Inc.; OnBase is a registered trademark of Hyland Software, Inc.